Excited though we are to feast our eyes and minds on some of the world’s most stunning sacred sites, it’s probably best we digress early with a disclaimer: there’s no way in the world we could aim to provide an objective run-down of the world’s top ten most sacred sites. Sacredness is in the eye, heart and mind of the beholder, and all we can do is share our inspiration. So with a subjective eye for sacred treasure and a rummage around some of the less-obvious corners of the globe, what we present here is a selection of ten sacred sites we think are especially stunning – hopefully stunning enough to ignite a flame of passion for Mother Earth. The stirring stories that accompany these sacred sites speak of ancient spiritual connections to the land that still inspire awe today. Selected for their natural beauty, importance to local cultures, and the stories told about them, here are ten of the world’s most spectacular sacred sites, and their stories. 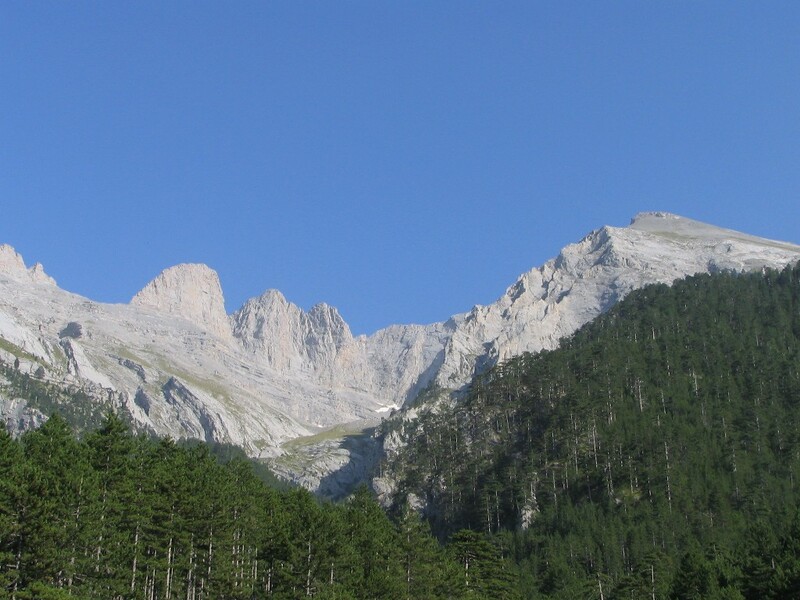 Home of the twelve Olympian gods of ancient Greece, Mount Olympus began its life in legend, only later becoming associated with a particular peak in Greece’s highest mountain range. Among the deities dwelling upon the mythic mount were Zeus, king of the gods, his wife Hera, his brothers Poseidon and Hades, his sisters Demeter and Hestia, and his children Apollo, Artemis, Ares, Aphrodite, Athena, Hermes, and Hephaestus. These Olympian gods and goddesses were understood as archetypes representing various aspects of the multi-faceted human psyche, and worshipped by invoking and amplifying those aspects in the behaviour of the worshipper. Zeus was the god of mind and the intellect, a protector of strangers and the sanctity of oaths; Hera was a goddess of fertility; Apollo represented law and order, and the principles of moderation in moral, social and intellectual matters; Ares represented the dark, bloodthirsty aspect of human nature; Aphrodite was a goddess of love and overwhelming passions; Athena was spiritual wisdom incarnate Hermes was the god of travellers, and of sleep, dreams and prophecy; and Hephaestus was the god of the arts and fire. Paso de Cortés, Amecameca, Estado de México. Popocatepetl, the ‘Smoking Mountain’ and Iztaccihuatl, the ‘Sleeping Lady’ are the two sacred mountains lying to the south-east of Mexico city and the ancient Aztec capital of Tenochtitlan. Popocatepetl, as its name suggests, is a now-extinct volcano whose 5,286 metre-high flanks are home to the ruins of numerous shrines, hinting at its importance as a sacred site for Aztecs and perhaps earlier cultures. Ancient legend holds that Popocatepetl was a great warrior whose marriage to the fair maiden Iztaccihuatl, the daughter of a tribal king, depended upon his victory in battle with a rival tribe. Although Popocatepetl was victorious, his mission took longer than expected, and rumour spread that he had perished in battle. 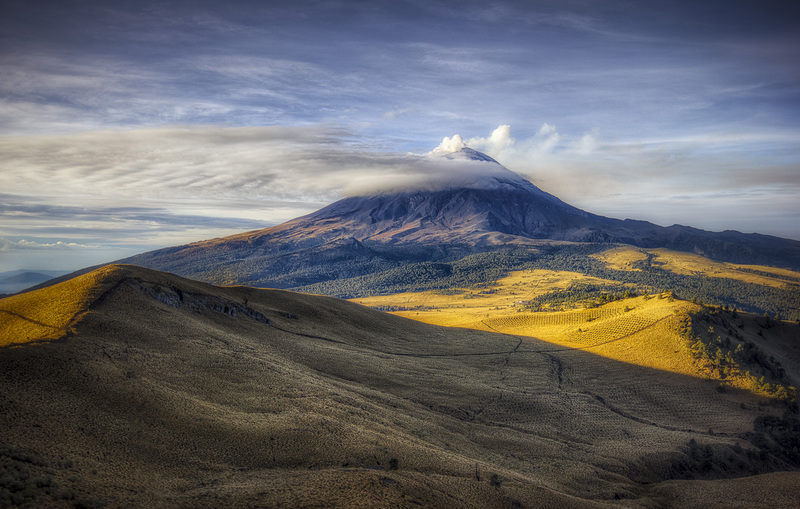 When Iztaccihuatl heard this she died of grief, and upon his return Popocatepetl laid her body atop a mountain range. Overcome with grief himself, Popocatepetl climbed the adjacent peak, keeping eternal watch over his lost love with a smoking torch. Not even ‘discovered’ by white man until the 1980’s this sacred site, home to the Kitja people, is still relatively inaccessible. Purnululu is the name given to the range of orange and grey-striped beehive-shaped karst sandstone domes that reach as high as 578 metres above sea level. 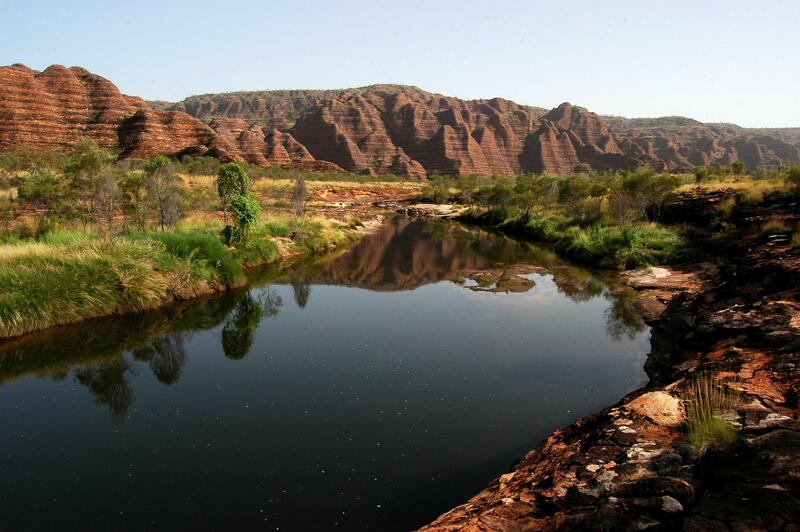 The Kitja have been based in this remote region of Australia’s wild north west for at least 20,000 years, and their rock art and ancient burial sites are dotted about the region. Kitja dreaming stories explain the creation of Purnululu’s sandstone structures, gorges and waterfalls though narratives that describe the formation of the landscape by the creatures that have long inhabited the land. Scientific explanations for the spectacular striped appearance of the rock formations include the biological processes of cyanobacteria. The differences in clay content and porosity of the sandstone is key: the grey bands are composed of cyanobacteria growing on the surface of layers of sandstone where moisture accumulates, while the orange bands consist of oxidized iron ore compounds, drying out too quickly for cyanobacteria to multiply. 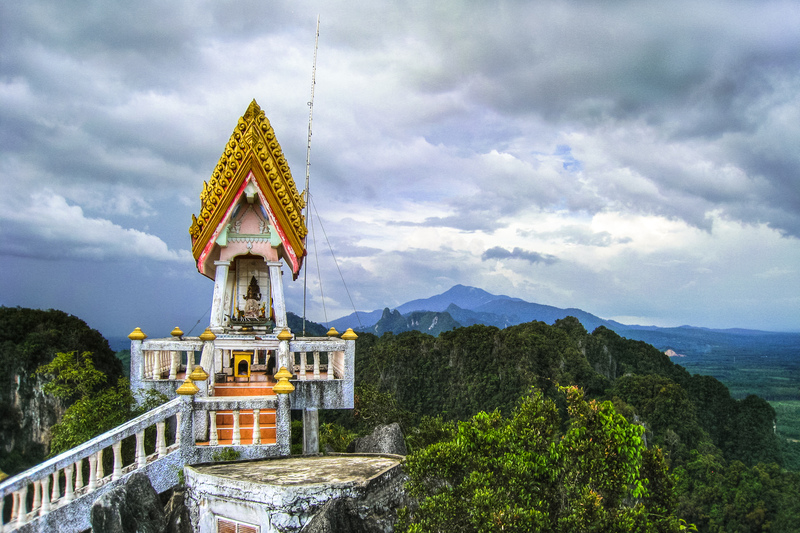 Wat Tham Suea (the Tiger Cave Temple) is a Buddhist cave temple in the soaring karst of Krabi in the south of Thailand. One of the most sacred Buddhist sites in the province, its name comes from the discoveries of tiger paw prints on the cave walls, and legend has it that a huge tiger used to roam the cave. The temple itself is a Thai Buddhist meditation centre, and holds archaeological and historical significance thanks to stone tools, pottery remains, and so-called Buddha footprints found there. The journey to the top of the karst involves climbing a steep jungle staircase of 1,256 steps (many of them very steep), dotted with hidden shrines. Accompanied on the ascent by the resident monkeys who make it look easy, the stretch to the summit is a 25-minute climb for the fit. The view from the 278m high summit is breathtaking thanks to both the effort and the reward. It is easy to see why many of the other caves in the region’s dramatic karst landscape are not accessible to visitors. Jutting abruptly from the flat surrounding terrain, Devil’s Tower has been a sacred place for Indigenous tribes since prehistoric times, known to the First Nations as Mateo Tepee, or Grizzly Bear Lodge. The tower is the remnant of a volcanic extrusion that occurred 60-70 million years ago. 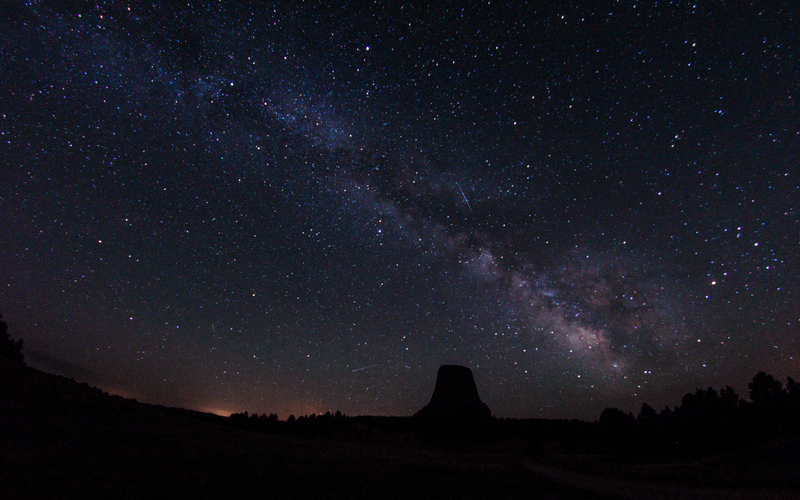 A greatly honoured ‘vision quest’ site for Indians, both past and present, Devil’s Tower has reportedly treated many modern-day visitors to strange light phenomena above the summit, and even UFO sightings, for the true believers. One of the many ancient legends – common to the Kiowa, Arapaho, Crow, Cheyenne and Sioux tribes – has it that seven young girls were one day playing in the forest when a great bear came upon them and gave chase. As the girls ran the bear gained on them, and, realizing the hopelessness of their situation, they jumped upon a low rock and prayed to the Great Spirit to save them. The rock then grew upward toward the sky, lifting the girls to safety; the bear jumped up against the sides of the growing tower, leaving deep claw marks as he tried to reach the girls. The tower continued to soar toward the sky until the girls were pushed up into the heavens where they became the seven stars of the Pleiades constellation. 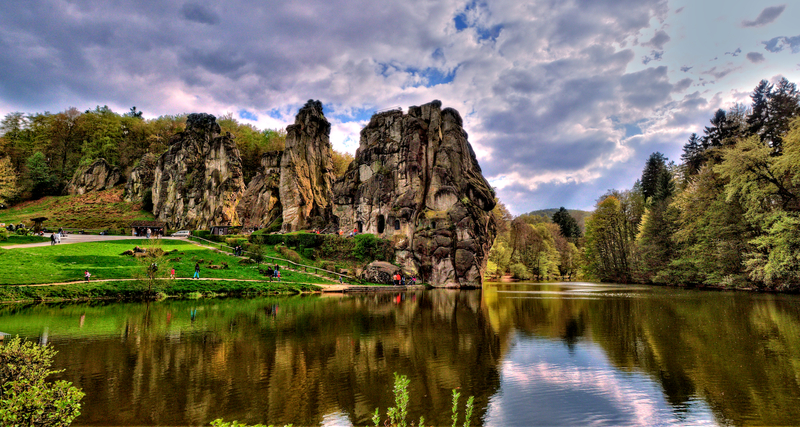 The mysterious Externsteine rocks, a chain of towering sandstone spires dating from the Cretaceous period, are one of the most debated archaeological sites of central Europe. Externsteine is the geomantic centre of the ancient sacred region of Teutoburg district, the historically claimed sacred heartland of Germany, home to heroic myths and pilgrimage. Believed to be a sanctuary for nomadic reindeer hunters, Externsteine is also the site of ancient pagan rituals performed there until the 8th century AD. The remains of a prehistoric temple are preserved atop the tallest rock spire, and archaeological excavations have recovered stone tools dating to before 10,000 BC. The temple itself, constructed according to astronomical orientations, aligns with a view of the moon at its northern extreme and the sun at sunrise on the summer solstice. Bali’s highest volcanic mountain at 3,142 metres, Gunung Agung is part of a range of towering volcanic peaks that includes three other sacred mountains, including Gunung Batur. Gunung Agung, considered most sacred by the island’s Hindu population, is believed to be the home of Batara Gunung Agung, the supreme manifestation of Shiva. 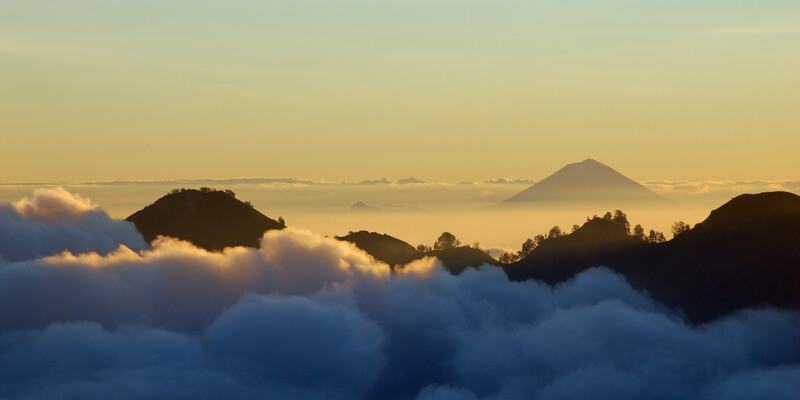 Agung dominates the surrounding area, influencing the climate by taking the water from the western clouds, leaving the west of the island lush and verdant and the east dry and barren. In contrast, Gunung Batur is considered most holy by the indigenous population of the remote jungles surrounding Lake Batur, a 4,240-acre freshwater lake. Gunung Batur and Lake Batur are both sacred to Dewi Danu, the Goddess of the Lake, who is regarded as the provider of irrigation water in the form of bubbling natural springs that flow from the lower slopes of Gunung Batur and irrigate the whole of central Bali. Not as well-known as its neighbour, the towering monolith of Uluru, but at least as spectacular, Kata-Tjuta is a collection of 36 domes of varying types of rock, including granite, sandstone, and basalt. The tallest point – Mt Olga – reaches 1,066m above sea level, making it 198m higher than Uluru. 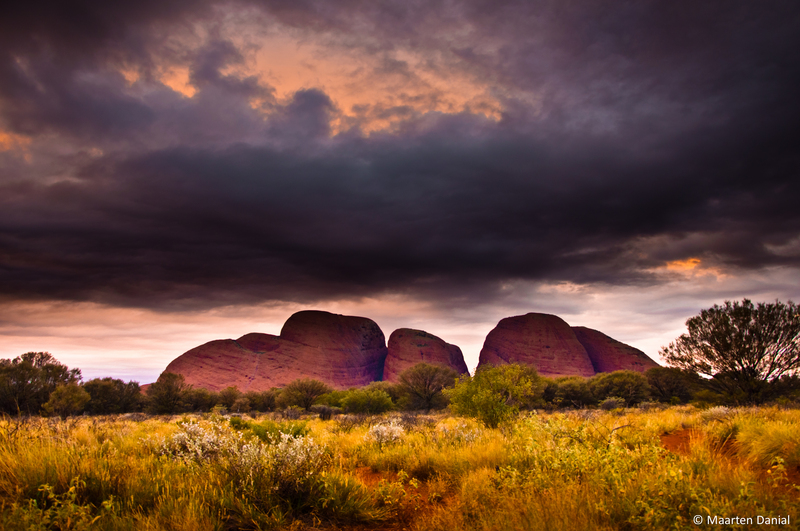 Archaeological evidence suggests the area has been inhabited by humans for at least 20,000 years, and just as Uluru is sacred to the Anangu people of the Pitjantjatjara land, so is Kata-Tjuta, whose name means ‘many heads’ in Pitjantjatjara. Legend has it that the rocks were built during the creation period, and are still inhabited by ancestor spirits. Rituals and ceremonies are still conducted in various locations of Kata-Tjuta, although much of the mythology is not disclosed to uninitiated outsiders. As with Uluru, it is requested that people do not climb on the rocks out of respect for their spiritual significance, and that photos not be taken of certain sacred sites. Perched high in the Altiplano at 3,720 metres Salar de Uyuni, the great salt lake of southern Bolivia, only holds water for a few weeks or months each year. A massive expanse of 10,582 square kilometres, it is the world’s largest salt flat. 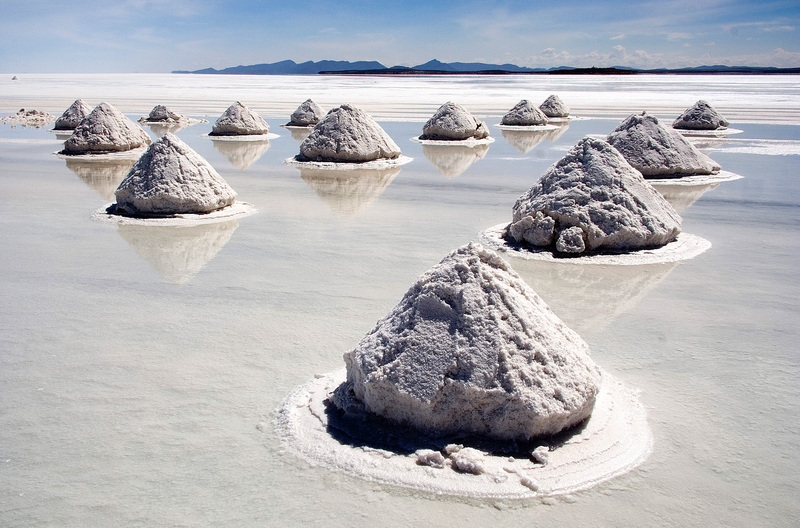 Silent and shimmering white, the crush of salt crystals beneath your feet supply the only sound, and shimmering mirages on the horizon in every direction lend Salar de Uyuni its otherworldly feel. In the centre of the lake lies the small island of Isla Inkahuasi, a sharp crag of black volcanic rock contrasted against the misty purple mountains in the distance. Few environments provide such a profound sense of calm and inner peace. Aymara legend holds that the surrounding mountains – Tunupa, Kusku and Kusina – were once giant people. Tunupa married Kusku who ran away from her to be with Kusina. In her grief, Tunupa began to cry while breast-feeding their son, and as her tears mixed with the milk they formed the great Salar. 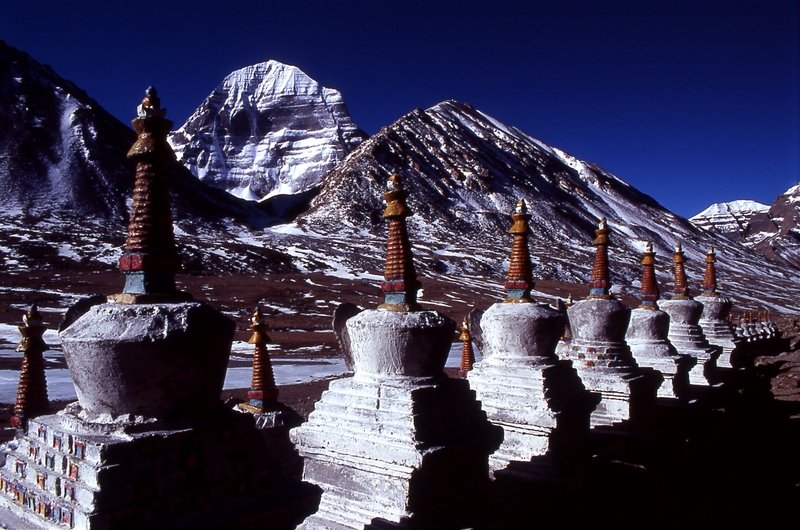 This soaring peak in the Gangdise mountain range of western Tibet is sacred to Buddhists, Hindus and Jains. Buddhists believe Kailas to be the home of Buddha Demchog, who represents supreme bliss; Hindus believe it is the residence of Lord Shiva and the land of eternal bliss; and Jains believe it is the site where the first Jain attained nirvana. Although some hardy believers make the pilgrimage to Kailas, the four-day journey over the inhospitable plateau to the remote site means it is not a trip for the faint-hearted. Most pilgrims attempt the journey either on foot or with the help of a pony or yak, and complete their pilgrimage with a 52km circuit of the base of the mountain. While Hindus and Buddhists approach the circuit in a clockwise manner, Jains do so in a counter-clockwise direction. There is no record of anyone attempting to climb Mount Kailas, and rumours abound as to why not. Some pilgrims believe that the circuit should be completed in a single day, which amounts to 15 hours trekking time for a person in good shape walking fast. Other pilgrims place even harsher demands on themselves, performing full-body prostrations over the entire length of the circuit, a process that takes at least four weeks of physical endurance.